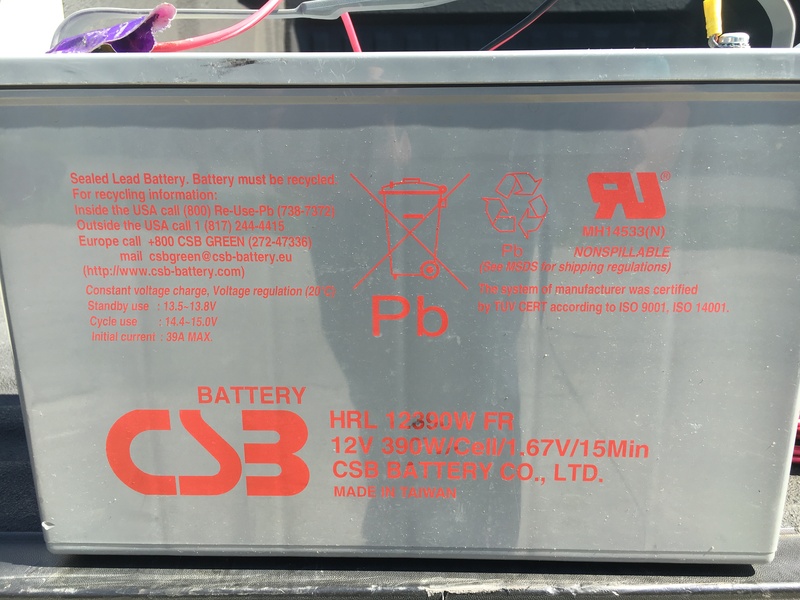 Battery Info | ARCCC, Inc.
Fortunately many local amateur radio operators have had the opportunity to purchase used batteries which are swapped out of UPSs on routine cycles. Some of the battery specifications are available below. 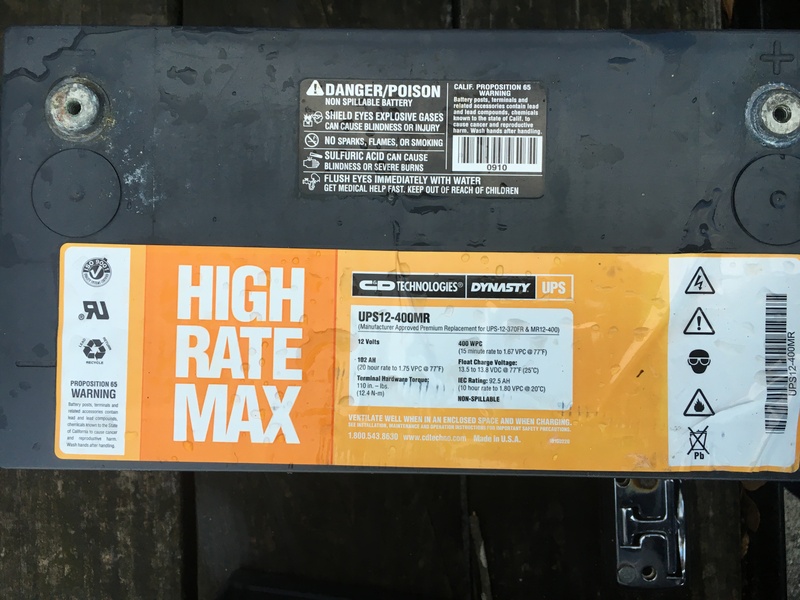 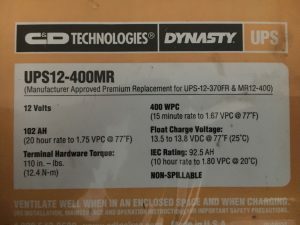 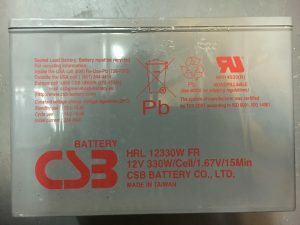 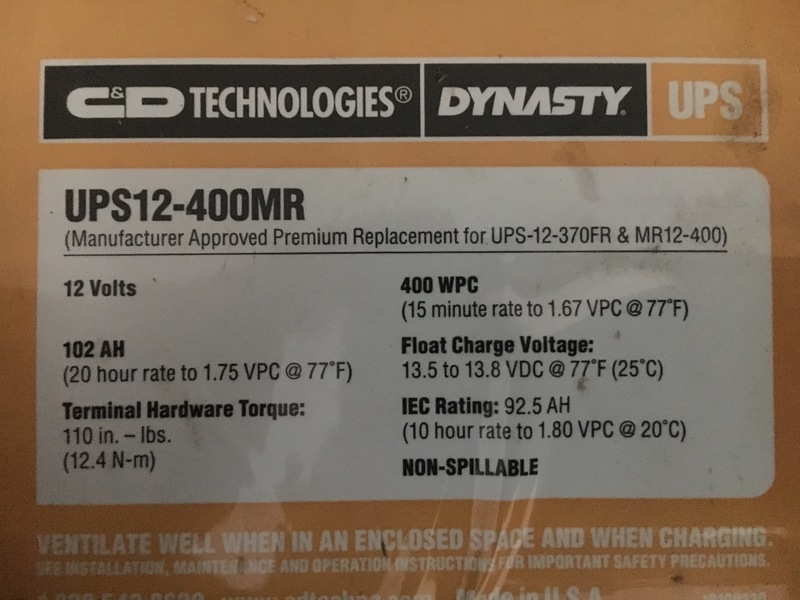 NOTE: Per the supplier of the batteries… Sulfation starts at 12.2 Volts so be certain to charge the battery when the battery reaches 12.3 Volts or before/higher voltage. Terminals accept a 1″ long 1/4-20 Bolt. 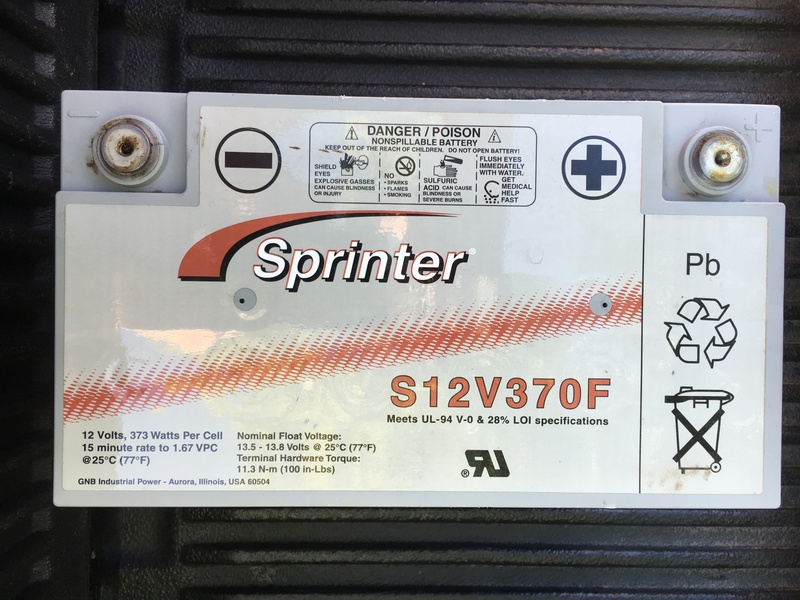 Also #12 Flat Washers will work.